I went into this post practically kicking and screaming today. Let’s be honest- sometimes the words flow, other times it’s a task just to get myself to sit in the chair long enough to post a few words and photos. This whiny, kicking and screaming, can’t-even-stand-myself feeling seems to be a Labor Day holiday signature of mine. See, the holiday represents the end of summer. I’ve always had enormous jubilation for Memorial Day, the unofficial kick off of summer, and great disdain for it’s holiday evil doppelganger- Labor Day. When I was a kid, we would always have to return to school the Tuesday after Labor Day. The end of summer and the return to school always seemed like a great tragedy to me. I’m talking Hamlet level tragedy. It would seem that the feelings of that 9 year old, who can’t come to terms with her new backpack and Trapper Keeper have followed me to adulthood. I still don’t like Labor Day. I still have a hard time coming to terms with the end of summer. But now I get to add alcohol to the mix. My Oh My. Cucumber Raspberry Vodka Sparklers. I hope you all have a lovely Labor Day weekend. Be safe. Be sound. Don’t kick or scream. That doesn’t help anything. Trust me, I’ve tried that approach for the last 27 years. makes 4 cocktails. do share. Cut 4 thin spears from 1 cucumber, and reserve for garnish. Peel remaining cucumbers, and quarter them lengthwise. Scrape out seeds with a spoon, and discard. Coarsely chop cucumbers, then puree in a food processor until smooth. Strain through a fine sieve, pressing on solids to extract as much liquid as possible. Fill a cocktail shaker with ice. 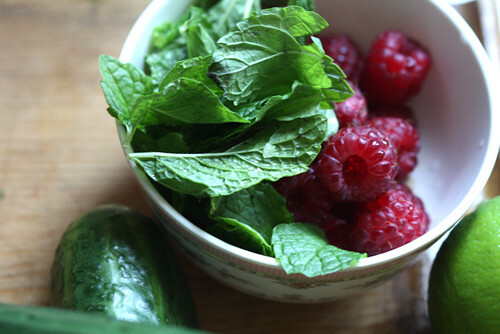 Add mint, sugar, raspberries and lime juice, and shake. Add 3/4 cup cucumber juice, the vodka, and Cointreau, and shake. Strain into 4 glasses filled with ice. Finish with a splash of sparkling water in each glass and stir. 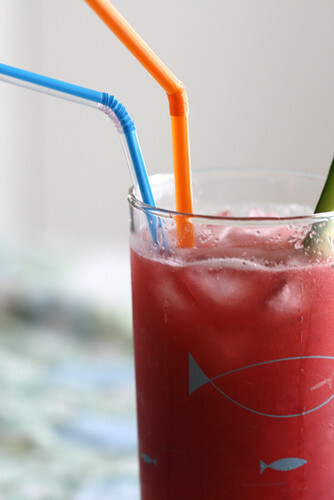 Garnish each cocktail with a cucumber spear. 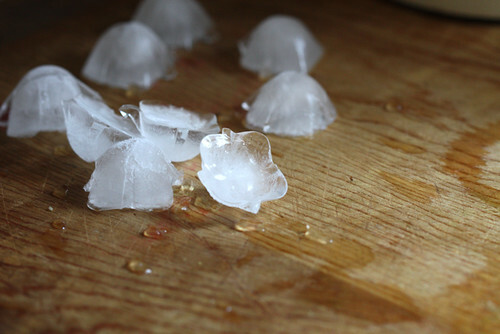 Incidentially, I wish these were diamonds. This looks so very good – mint and raspberries are the two ingredients that alway shout SUMMER to me (not all that tomato and zucchini business!). I’m not sure we’ve earnt this delicious concoction in Oxford though, having had no summer to miss (the worst August since records began apparently). I hate to see summer end too. I think Labor day is always kinda sad, but this drink could definitely cheer me up!! I’ve been really into cucumber lately. I love Hendrick’s gin because it has a nice cucumbery taste. 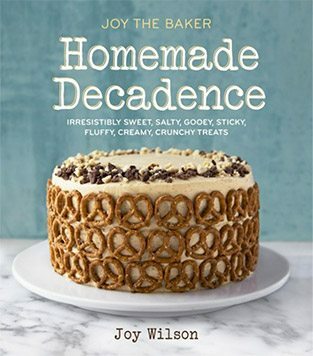 I know it would be changing the recipe, but I’d love to see how this combination would work together! Either way, I completely understand what you mean about Labor Day, although I admit I was also the girl who got excited about freshly sharpened pencils and a closet full of new school clothes! 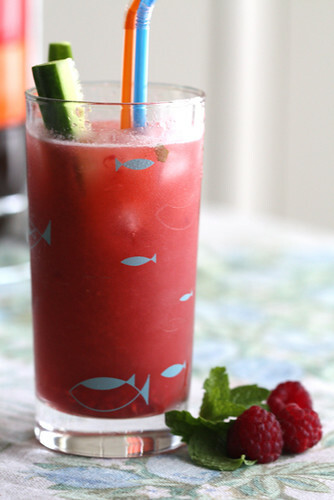 I love cucumbers in my drinks – add some vodka and raspberries and what a perfect drink. thank u for making me happy on a miserable rainy day in london. yes, the end of summer is certainly tragic. good thing for booze! this sounds so tasty and refreshing! you should try a blueberry buckle recipe. It’s amazing! I happen to find your blog today and this is one of the best blogs I’ve read! I really love the way you write and your photos are fantastic! I sure will be visiting regularly! I haven’t looked forward to ANY holiday for the last 6 years because I worked with animals and, well, they don’t get holidays. However, the tables have turned this year! I am teaching high school and let me tell you – thank goodness for a 3-day weekend! And with Hurricane Gustav, it may be an even longer one…let’s hope not though. Dang right, good looking out! I was appalled! Thats how we role over here- none of that plageurism stuff- its called RUDE! 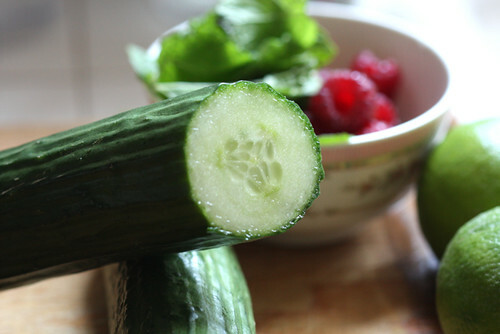 Anyway, if I were a drinker this would be yum- I love cucs and raspberries, but you see, I’m nursing as well as a former binge drinker with not so hot habits… so until they drive me REALLY mad, my kids will have a semi-sane, but always sober mommy… YUM though. and don’t worry, you’re in good company still kicking and screaming as a grown woman! trapper keepers! just saying it makes me laugh–i used to love them. at 28 i’m still a bit of a nerd and keep all my papers organized in some sort of folder. the drink looks so good and photography beautiful as always! Oh.Joy. These look out of this world. I can’t wait to try it this weekend. I LOVE cucumber and vodka together. Thank you. I haven’t experienced this for myself, but imagine you are a mother of several rambunctious kids. 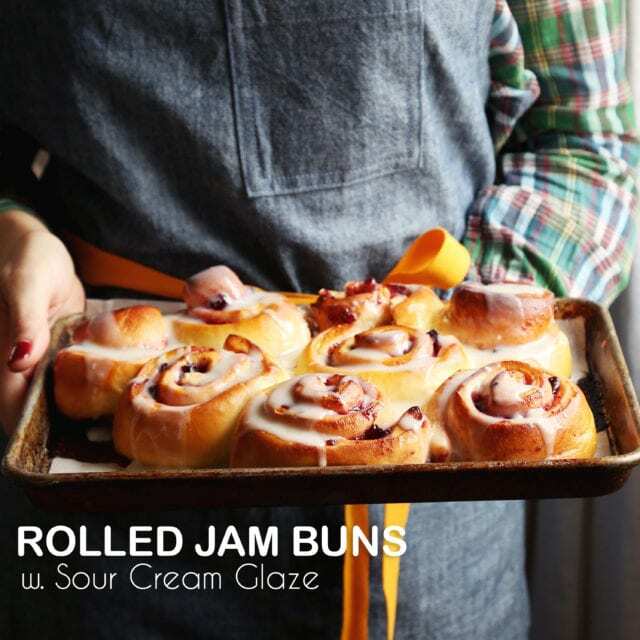 Wouldn’t Labor Day weekend signal a return to school for them and a return to reading food blogs in peace for you? In that case, three cheers for the end of summer! If you wait long enough, the tables DO turn, so I hear.